Hillary Clinton clearly finds Mr. Perez eagerness to cut corners admirable. 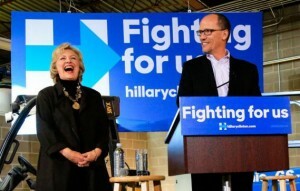 Late last month, federal judges in courts located more than 1100 miles from one another sharply chastised Obama-appointed U.S. Labor Secretary Tom Perez for attempting, by bureaucratic fiat, to prevent employees from hearing all the key relevant facts before they are subjected to union monopoly control. And one of those judges enjoined Perez and his Labor Department from proceeding to implement his rewrite of federal labor law. There’s no doubt about the pro-collectivization-of-employees bias of the National Labor Relations Act (NLRA), which authorizes union monopoly bargaining and the exaction of forced union dues and fees from workers as a job condition. Labor Secretary's clear intent is to control what employees hear. No Other administration has adopted Obama teams twisted reading of the 1959 law. The cost of hiring, retaining staff to fill our the disclosure forms too high for any small firms.